Undoubtedly the most popular casino game around the globe, Blackjack is a banking game with the aim to achieve a hand whose points total nearer to 21 than the banker’s hand, but without exceeding 21. Here we will outline the basic rules of standard blackjack (21), along with the house rules most commonly applied by casinos. Blackjack is played with an international 52-card deck without jokers. While the basic version is popular globally, other variants of the game now also exist. Some of these variants are quite identical to the original, while others are completely different. The most basic decision you have to make when starting is to hit and stand. 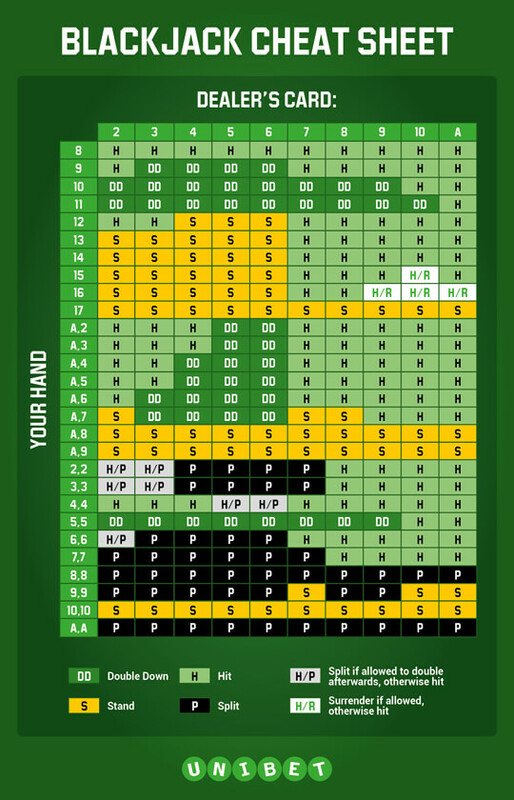 This is essential for any blackjack player to remember as the Dealer always has to take a hit on any hand 16 or low. If you’re holding less than 17, your chances are lower unless the Dealer busts. If your hand is below 17 and the Dealer is showing an Ace, King, Queen, Jack, 10, 9 or 8, you need to take a hit as the chances of busting are slim. The fastest way to make it when playing Blackjack is to double down at every opportunity. This can make you double your bet or end up costing you double if you do it at a bad time. Always double down any hand totalling 11. Splitting can be highly beneficial if you do it with the right cards or it could end up costing you by splitting a winning hand into a pair or losers. Remember to never split 10’s or 5’s but to always split Aces and eights, no matter what the dealer is showing. The reason being that a pair of eights equals 16 which can only lead to a win if the dealer busts. By splitting into a pair of eights, your chances of hitting two hands higher than 16 are much better. Unibet offers different variations of Blackjack, including Live Blackjack where you play against the live dealer, we have all your favourite games here.